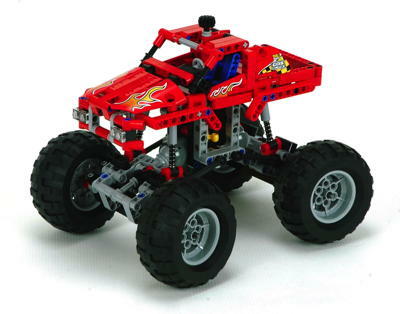 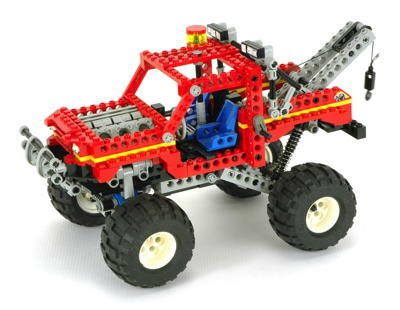 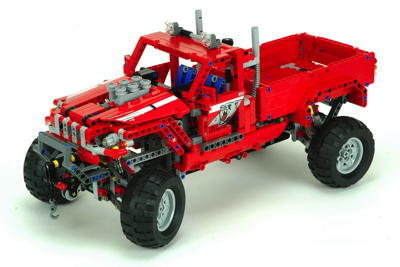 4x4's, or 4 wheel drive vehicles, can be any of a variety of off-road vehicles. 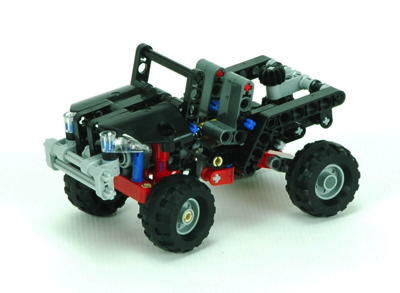 They differ from buggies in that they can also be used on the road and typically have a full cabin instead of just a frame. 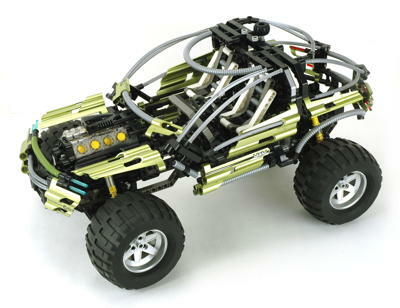 These models vary greatly in size and complexity, but most focus on suspension as their primary feature. 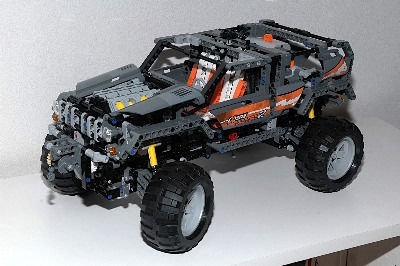 As can be seen in the montage, they vary in size considerably and, interestingly, both the biggest and smallest are orange Unimogs! 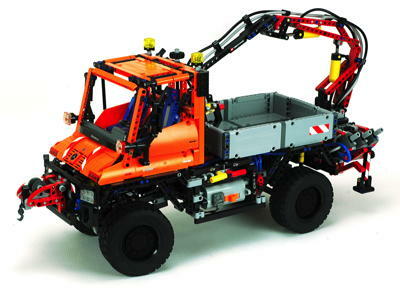 8110 is the clear flagship with portal axles, a motorized winch, a pneumatic crane with motorized compressor, and incredible suspension. 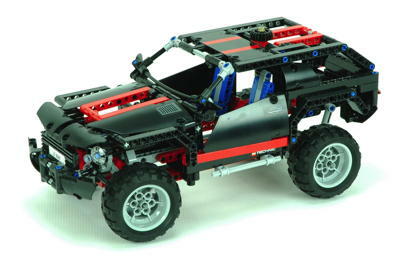 8466 is the next most complex and is basically a "Super Car" with 4 wheel independent suspension, 4 wheel drive, and a transmission. 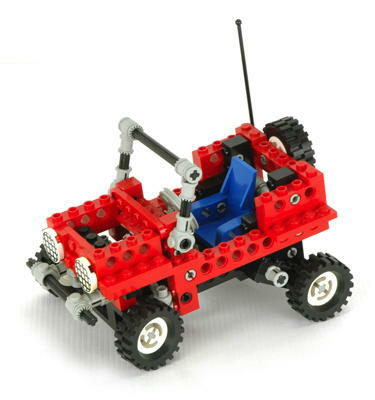 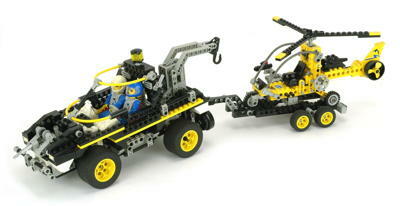 There are a pair of remote controlled motorized crawlers which share the same chassis. 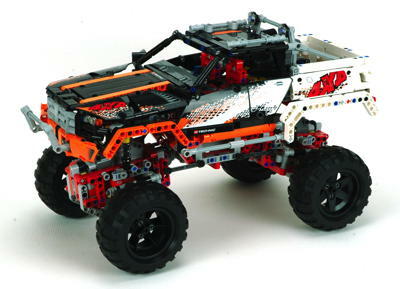 Most of the other models are also quite capable. 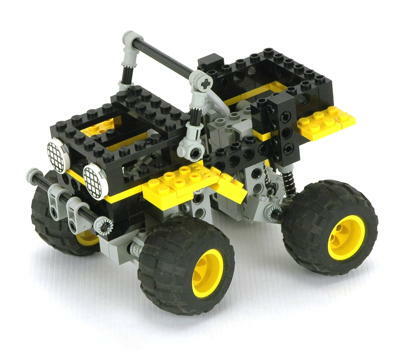 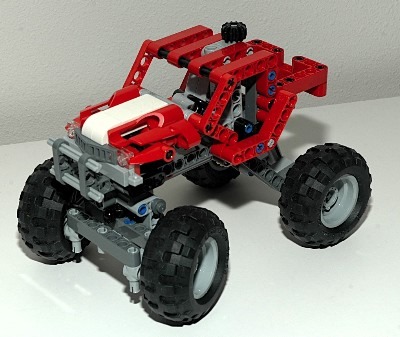 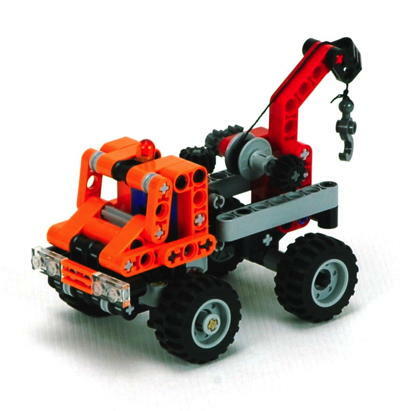 8858 has a wonderfully accurate suspension system. 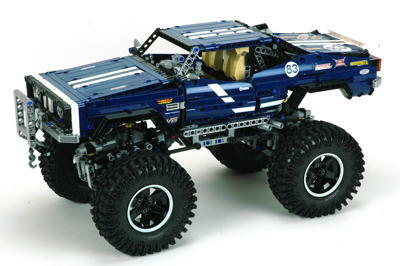 8297 is large and has a rather unique motorized adjustable suspension height. 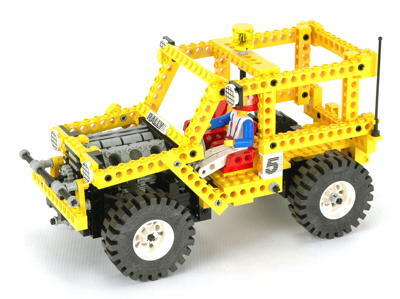 Although this category is 4x4's, many of the models in this group are actually not 4 wheel drive, even those which are explicitly titled as though they are.